Great sound shouldn’t cramp your style. 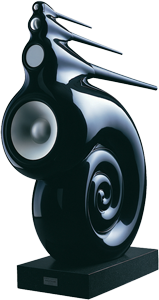 Design your home the way you want to and experience the true sound of the music. Whatever speakers you use, and however you’ve designed your room, you’ll hear a performance that’s optimised uniquely for you. All Linn systems have Space Optimisation built in, and it’s a free software upgrade to all Linn DS owners too. Your speakers play a key role in determining the behaviour of sound in your room. Because every speaker design is different, the sound from your particular speakers has a unique set of interactions with your surroundings. Space Optimisation models these interactions by taking account of the characteristics of your speakers, such as the position of each drive unit and the response of bass reflex ports. Combining this information with the modelling of your room’s acoustics enables Space Optimisation to optimise the sound uniquely for your chosen speakers. Designed to work with whatever brand of speakers you choose. The characteristics of your room affect the sound you hear. Sound waves reflecting off your walls, ceiling and floor create peaks of increased energy at specific frequencies. Construction materials, furnishings and features like doors and windows, also affect how much energy is reflected, and the length of time it takes to decay. Space Optimisation allows your Linn Specialist to identify the precise frequencies affected and reduce their energy by just the right amount, removing the distorting effect of your room to reveal the true sound of the music. Design your home the way you want to and enjoy a performance that’s optimised for you. Exakt incorporates the measured response of every individual drive unit. It enables even more advanced speaker modelling that’s specific, not just to the model of speaker, but to the unique pair of speakers in your home. Every Exakt system benefits from enhanced speaker modelling to optimise with greater precision. Try a Linn system with Space Optimisation at your nearest Linn Specialist. We’ve measured the characteristics of hundreds of speakers so you can get the most from Space Optimisation, whatever speakers you own. However, even if your speakers aren’t listed below, you can still enjoy the benefits of Space Optimisation’s environment and speaker placement optimisation based on their location in your room. Don't see your speakers here? Tell us what speakers you'd like us to add and watch this space.